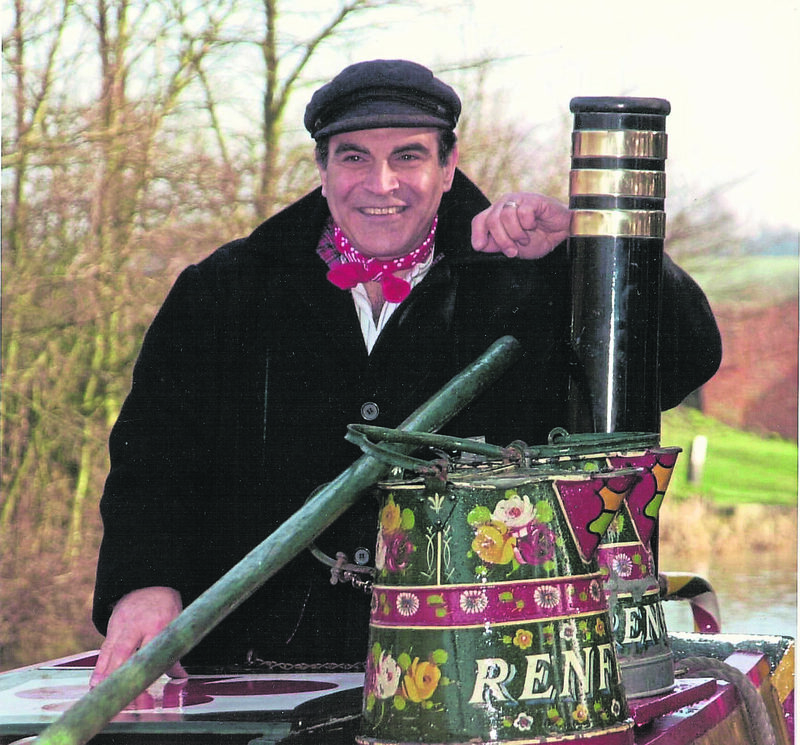 Tim Coghlan of Braunston Marina has lunch with David Suchet of Hercule Poirot fame and finds out more about the actor’s connection with Britain’s canals. 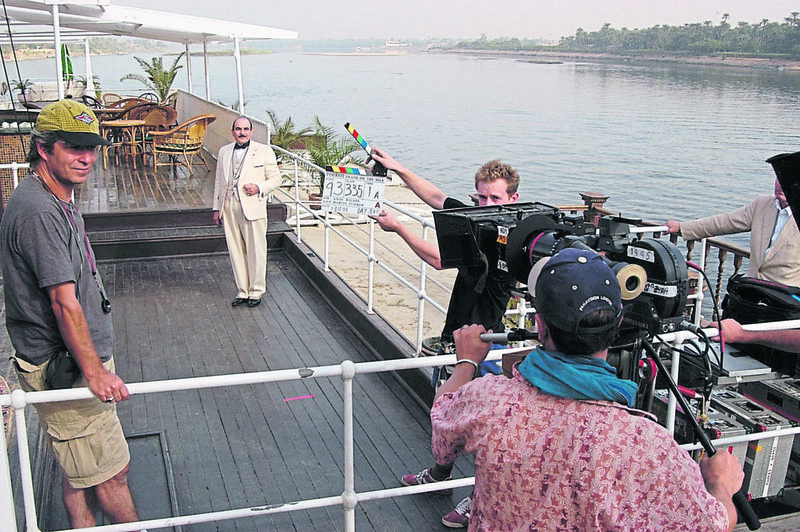 IN September 2016, a London Blue Plaque was unveiled by the distinguished actor and canal enthusiast David Suchet at 11 Gower Street, in London’s Bloomsbury, where the Inland Waterways Association (IWA) had held its inaugural meeting almost exactly 70 years before. That inaugural meeting took place in the second floor front room of this Georgian house, which was then the home and office of one of the two co-founders of the IWA, Robert Aickman – the other co-founder being Tom Rolt, the author of Narrow Boat. Two things hit me on that occasion. Firstly prior to unveiling the plaque, David Suchet spoke to us at a reception in that very room in which the IWA was founded. 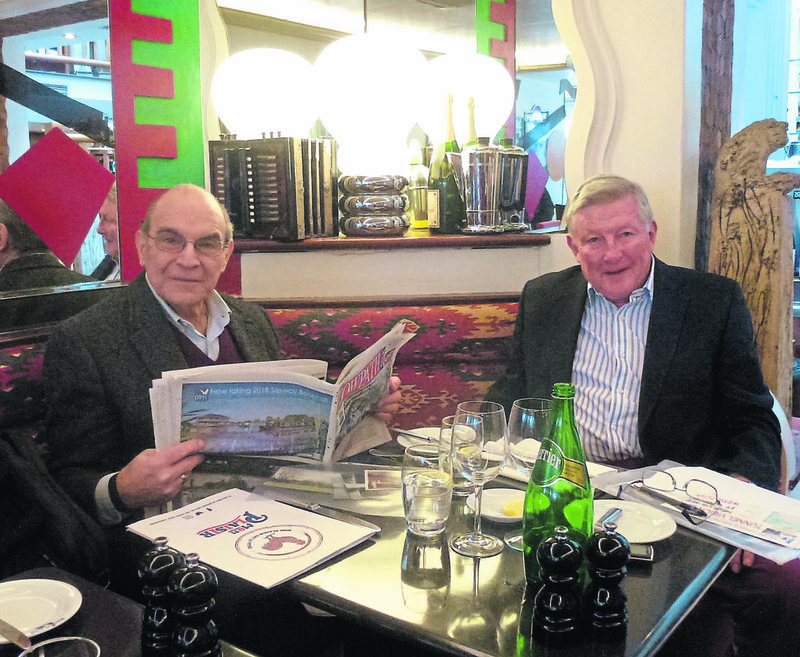 He told us how he came to the inland waterways and why they still remained so important to him today – for some years now he has been a vice-president of the IWA. The second thing from that occasion was that I spoke to the IWA veteran Roger Squires, who told me he had personal memories of Robert Aickman, which he shared with me. In particular Roger had dined twice in 1970 with the great man at his favourite restaurant Mon Plaisir, which was just down the road in Monmouth Street. Now that David had accepted my invitation to open this year’s Braunston Historic Narrowboat Rally, it seemed appropriate to give him lunch at Mon Plaisir at Robert Aickman’s very table – both to brief him on the rally, but also to hear that story of how he came to the inland waterways. 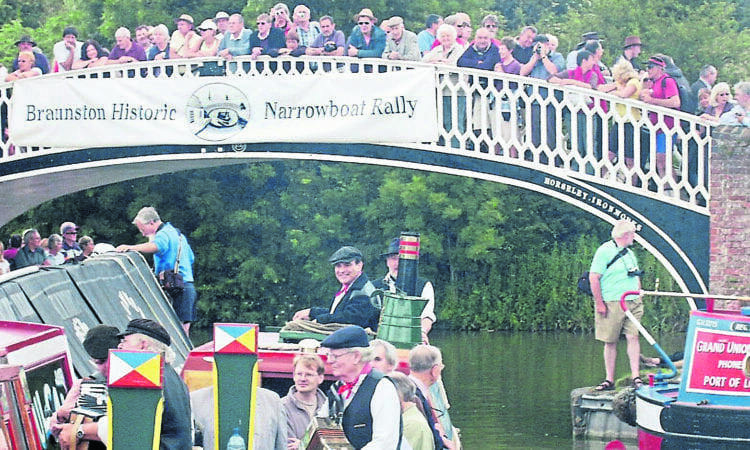 While eating we talked of many things – I knew David modestly well, as he had once moored his narrowboat Lark Rise at Braunston Marina for four years, and had since helped us with a number of canal events, the last being the opening of the 2008 Braunston Historic Narrowboat Rally. Then with lunch served and the table cleared, bar that Perrier Water and French coffee, I turned on the tape to record David’s early waterways days, and that Aickman connection. 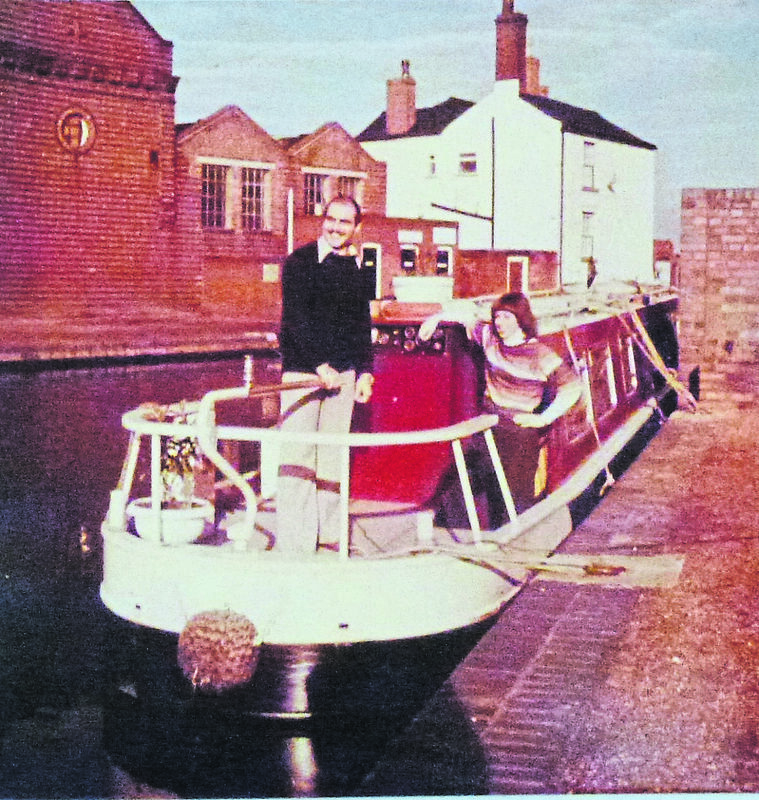 David began: “My moving to the Royal Shakespeare Company in 1973 also changed my life in that I was introduced to the inland waterways. I was playing Orlando in Twelfth Night, which is a big part, and I was given a good dressing room, Room 1A overlooking the River Avon. “One warm Saturday afternoon, not long after I had joined, during a matinee performance, I was in my dressing room between my stage appearances. I looked out of my window and saw these very long pencil cases, I thought they looked like pencil cases, going along the river. “In between the matinee and the evening performance I went down to have a look at them, and I rather naughtily peered in the window of an empty boat and it seemed rather like a glorified home. So my wife and I made enquiries and we realised that actually it was a very comfortable way of life. “I was by then married to my wife Sheila, an actress whom I had met when playing rep at the Belgrade Theatre in 1972. We decided that we could live on a narrowboat and tour the country on it for our work. “We discovered Western Cruisers based not far from the Stratford Basin, who had a fleet of hire boats, which used hulls manufactured by Hancock & Lane, who were based in Daventry. “We decided to buy a hull from them. It was 52ft with a cruiser-stern deck, so we only had about 32ft of cabin. The hull was taken by road to Stratford – I still have the photograph that Sheila took of it on the road – and it was launched at Western Cruisers, where it was fitted out to a high standard by Mike Lamb of Severn Lamb Limited, who also used to make miniature steam engines, and I think they still do. Late in September of that year, but before the completion of the works to Prima Donna, David had another Saturday matinee Damascene experience. He was again looking out of his dressing room window overlooking the river Avon, when he was off stage. “I saw a huge procession of boats, covered in flags, coming from the direction of the top lock on the River Avon Navigation, which I later learnt had just been reopened by the Queen Mother, and with it the navigation down to the Bristol Channel. Her Majesty’s narrowboat, filled with dignitaries, was now leading the parade, and I waved to her. “Again I went out between the two performances and visited the Stratford Basin, and really learnt for the first time how the River Avon Navigation had been restored – largely by IWA volunteers, but also many others, including inmates of Gloucester jail. David then returned to his canal story. “Our home mooring was at Stratford on one of Western Cruisers moorings, and I used to cycle back and forth to Stratford. Work with the RSC was not full time, and when not required, I took work in rep in Birmingham, Coventry and Liverpool, and we took our home with us. I used to ring up the local telephone people – there were no mobiles in those days, of course – and once I had found a mooring they came and put a telephone line on our boat. “The RSC also had a London base at the Aldwych Theatre, and when working there, we would move the boat to a mooring at the former Grand Union Canal Carrying Company’s depot at Bulls Bridge on the Grand Union Canal in west London, which with canal carrying now long gone, was looking somewhat forlorn. Amazingly there was a bus that ran all the way from Bull’s Bridge to the Aldwych Theatre. Coming back, the final destination on the bus’s front was ‘Bulls Bridge’. “Then I was back and forth from London to Stratford in sometimes only a few days, without time to move the boat. So I lived in digs while Sheila and friends, or sometimes just one friend, moved the boat to Stratford in a week – yes a week! In those days it was a very different canal world. There weren’t many of us out there really, cruising all year round. Boating had to come to an end when Sheila became pregnant with their first child Robert. “We sold the boat to allow him to be born in relatively non-damp conditions. It was sold from Western Cruisers’ yard, who lifted the boat out for inspection. But the buyer insisted before completing the purchase that the underneath was cleaned and painted in strong, red oxide paint. So the only way we could do it was to get underneath and do it ourselves. And there was Sheila underneath the boat painting away, lying on her side with a big belly. I have been very blessed with the most wonderful wife anybody could ever have. 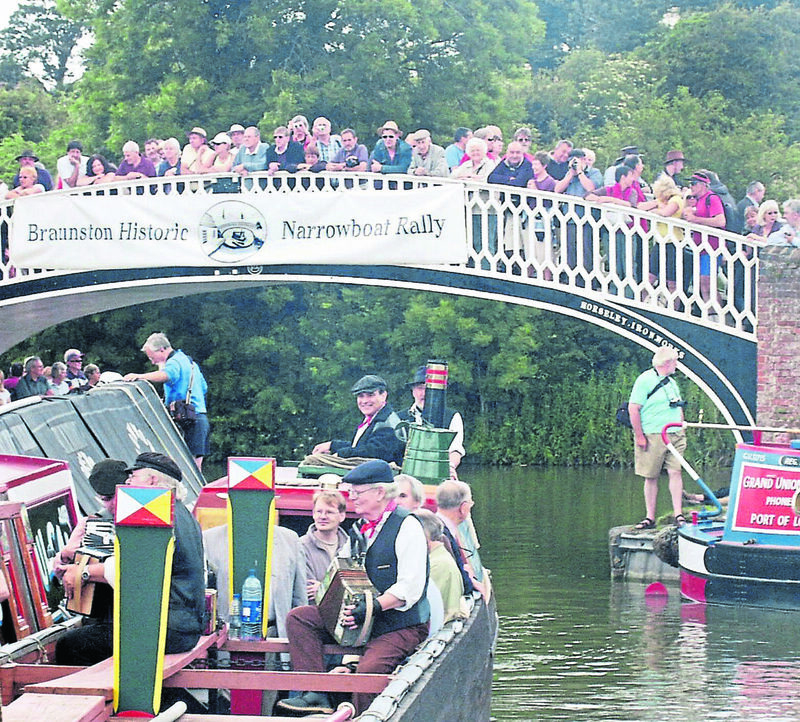 “When we sold Prima Donna I renewed my vow and I said, ‘I want to support the very waterways that had supported us for six years!’ And that was the beginning of my involvement. road schemes – the second campaign being very much work in progress, with more monies needing to be raised by 2019. David ended in passionate mode: “I believe whole heartedly in the restoration of our inland waterways. They are fantastic, they’re one of the jewels in the crown of our British heritage and so valuable and so unique to this country. They survived because people found them just in time. And they are still as they were, though not used for transportation, but as a playground.